Black Panther pushes the Marvel Cinematic Universe into exciting new territory — specifically the vibranium-rich African nation of Wakanda, whose existence was first hinted at way back in Iron Man 2, but which it hasn’t spent extensive time in until now. Even though the film takes place in a fresh corner of the MCU, it’s still very much a part of the single timeline that the studio has been building since the first Iron Man hit theaters a decade ago, and which will come to an end, of sorts, with the release of Avengers: Infinity War on May 4, and the still-untitled fourth and final Avengers movie set for release on May 3, 2019. And Black Panther doesn’t just continue the larger MCU story in the present day — it fills in some pieces of history as well. Here’s our speculative, and spoiler-free, take on where the events of this movie fall in the existing MCU movie timeline. Black Panther opens with an origin story, not for the titular hero, but for the country he protects. Centuries ago, we’re told, a large meteorite full of vibranium fell from the heavens and landed in Africa, sparking a war amongst five regional tribes that ended with the emergence of the Black Panther and the establishment of Wakanda. Since the tribes were fighting each other — and not the Dark Elves — this landing likely happened long after the 2988 B.C. 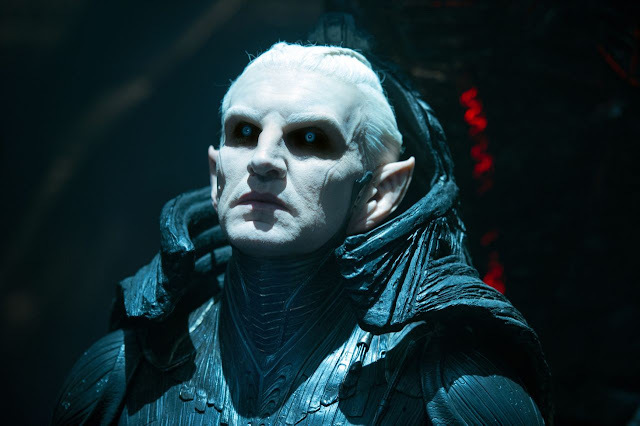 Convergence, when all Nine Realms are aligned, and the subsequent First Battle of Svartalfheim, when Malekith led the doomed uprising glimpsed at the beginning of Thor: The Dark World. Similarly, since Hela and Odin don’t appear to be currently engaged in their seventh century B.C. realm-by-realm conquest discussed in Thor: Ragnarok, Wakanda’s founding most likely takes place in the anno Domini epoch, possibly even around the mighty Thunder God’s birth, circa 964, or even when Odin tangled with the Frost Giants and discovered Baby Loki the following year. After that bit of prehistory, Black Panther leaps ahead to 1992-era Oakland for a crucial sequence that the film revisits several times, revealing new facets of a pivotal decision made by T’Chaka, father of the current Black Panther and Wakanda’s king, T’Challa (Chadwick Boseman). The late ’80s/early ’90s were a busy time for the MCU. Four years earlier, for example, future Guardian of the Galaxy Peter Quill lost his mother and gained an adoptive alien father. In 1989, normal-size scientist (and ant-size superhero) Hank Pym said sayonara to S.H.I.E.L.D. and set up his own outfit, Pym Technologies. Meanwhile, T’Chaka’s Oakland mission takes place mere months after the Dec. 16, 1991, assassination of Howard and Maria Stark by a brainwashed Bucky Barnes, aka the Winter Soldier, as shown in Captain America: Civil War. 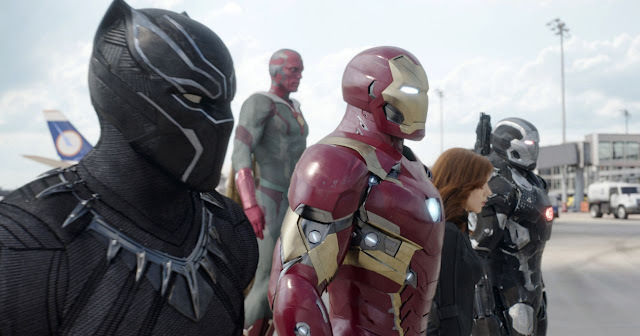 (In that movie, of course, T’Challa eventually joined Team Iron Man in the hopes of capturing Bucky after T’Chaka perished in a bombing that Barnes is believed to have orchestrated.) With the revelation that the upcoming Captain Marvel movie will be set in the early ’90s, we’re wondering if word of the Black Panther’s presence in Oakland may have filtered through to Carol Danvers. According to a news report heard early on in Black Panther, the movie proper begins one week after the bombing that killed King T’Chaka in Civil War, thus leaving Wakanda’s throne — and the mantle of the Panther — to his son. 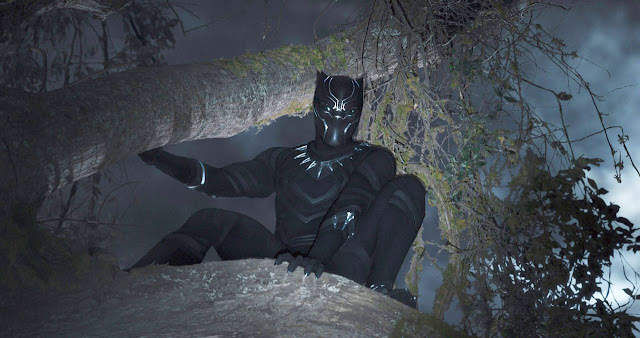 No specific time frame is given for the duration of the film’s events, but it’s safe to assume that T’Challa’s journey from a wary, untested leader to a more confident commander in chief takes upwards of a month. That means Black Panther is chasing the tail of Spider-Man: Homecoming, which establishes that it’s been eight years since the Battle of Manhattan in The Avengers. After sending Peter Parker off to his Civil War debut in Tony Stark-made underoos, Homecoming then jumps ahead two months to when he’s just a high school hero looking for his big break. And both movies are lapped by the events of Doctor Strange — which places surgeon Stephen Strange’s career-altering accident just before T’Chaka’s killing, and his emergence as the Sorcerer Supreme nearly a year later — as well as Thor: Ragnarok, where Thor visits a more poised and confident Dr. Strange in his New York Sanctum while searching for the missing Odin in the hopes of preventing Asgard’s looming apocalypse. Ragnarok also ends with Thor coming face-to-face (or, at least, ship-to-ship) with Thanos’s Earth-bound forces, making it the direct prelude to Infinity War. After all this buildup, it’s time to bring on the main event!